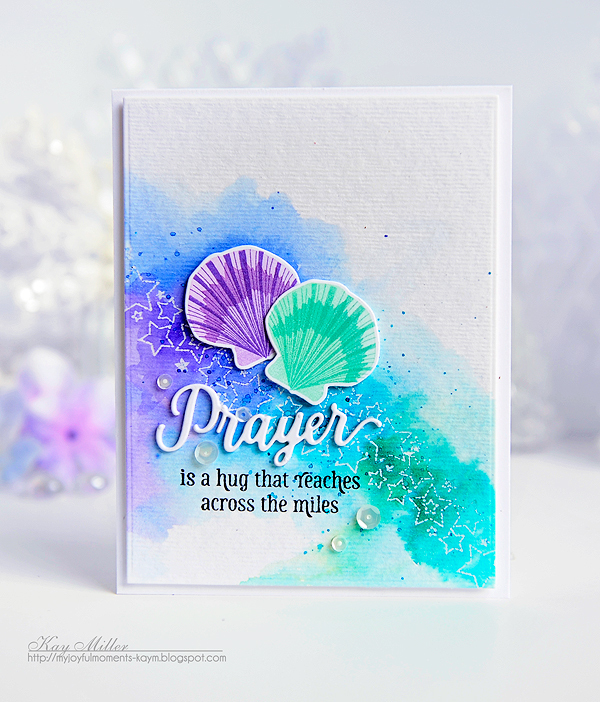 Hello and welcome to my Release in Review post for the July Papertrey Ink Release! It's always my favorite! The new products you are seeing here will be available in the store at Papertrey Ink on TONIGHT at 10:00 EST. I'm going to start off here with my favorite one! I don't know what it is about this card, but I just love it! I'm not sure if this is my very favorite of Betsy's Paper Clippings, or if it's the colors I used on this one, or what... but I love the way it turned out! I cut out two of the Paper Clippings: Done with Love out of white card stock and layered them onto a Soft Stone card base. I then stamped and cut out all of the little flowers and leaves with the stamps and the Paper Clippings: Details dies, and added them to the cut out. Really a simple card to make, but so fun! I would love to make another in some other color combinations! 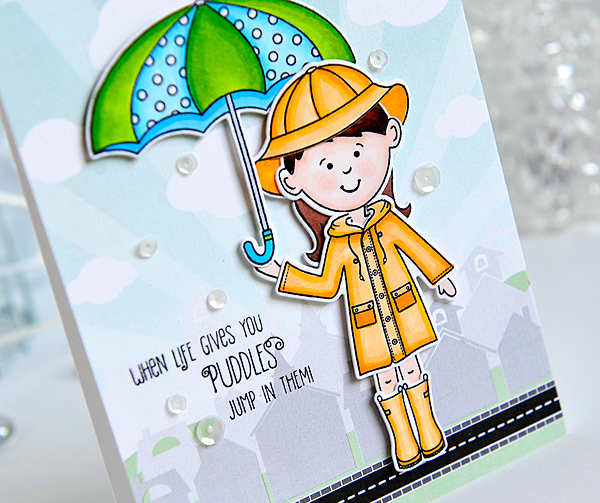 Next up is this little cutie in her rain suit! This is the newest addition to Betsy's Dress Up Dolls series. So cute! 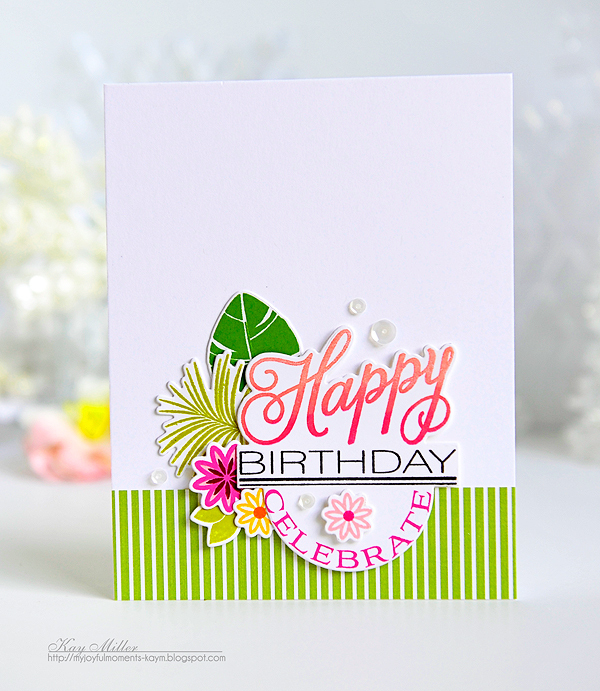 I thought this paper from the Petite Places paper collection was the perfect background! 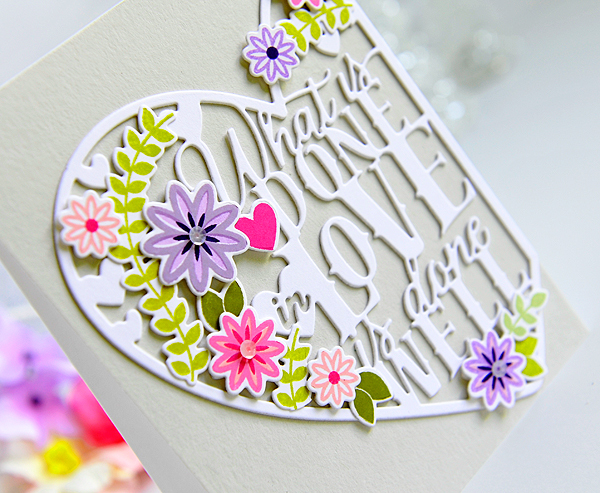 This card is using Dawn's new Just a Number set along with some greenery from Maile's Tropics and the flowers from Betsy's Paper Clippings: Done with Love. Dawn is a genius when it comes to arranging fonts in the neatest ways! I love this new set! 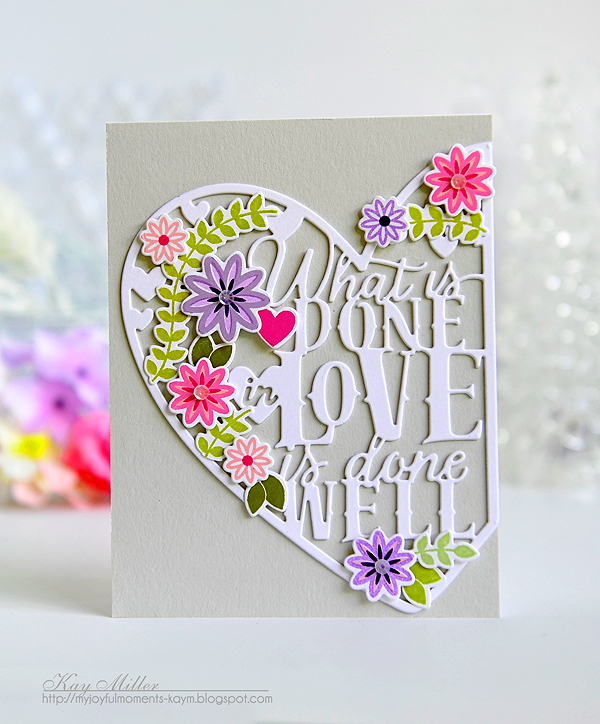 The happy part, I stamped with the MISTI using Pale Peony and Raspberry Fizz. I love the ombre effect! I also added a strip of Green Parakeet striped paper along the bottom. On this card I used Dawn's new It's The Thought sentiment set along with the flowers from the Painted Petals Anniversary set. 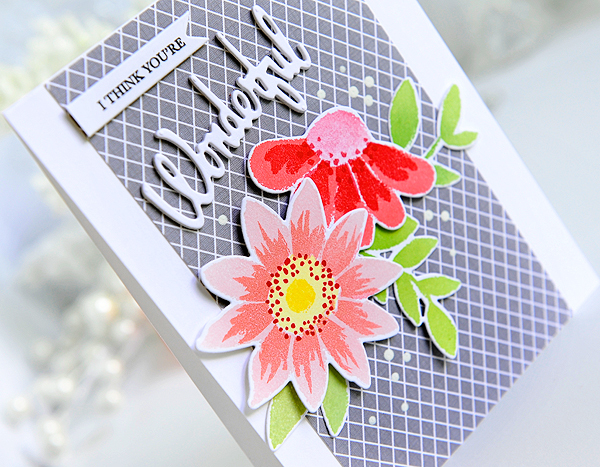 The paper is from The Floral Sketches paper pack. I added a few white dots with some acrylic paint and a stylus. 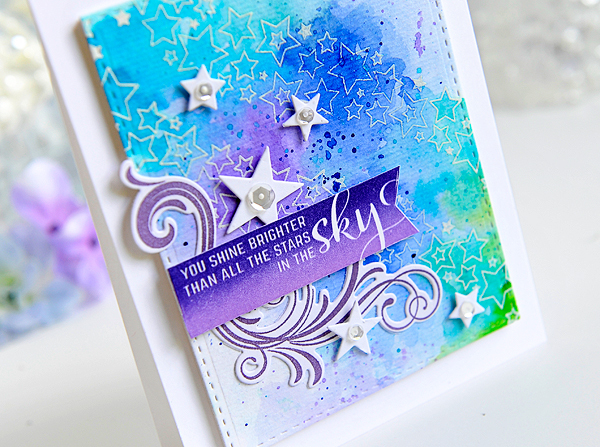 This one is using Lizzie's new Background Basics: Galaxy and Number The Stars. These are some fun new products! 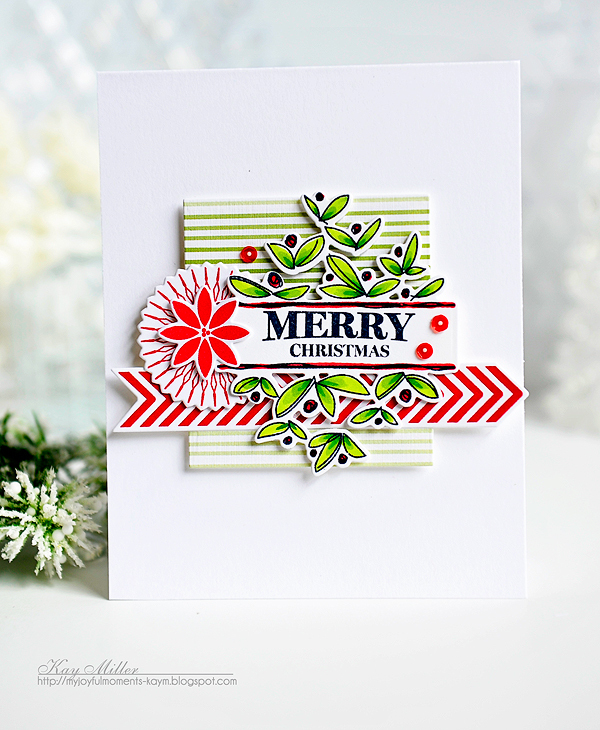 I stamped the background with Versa Mark and embossed it with white embossing powder. I then watercolored over it with Peerless watercolors. I added the flourish and popped the sentiment flag up with foam tape. 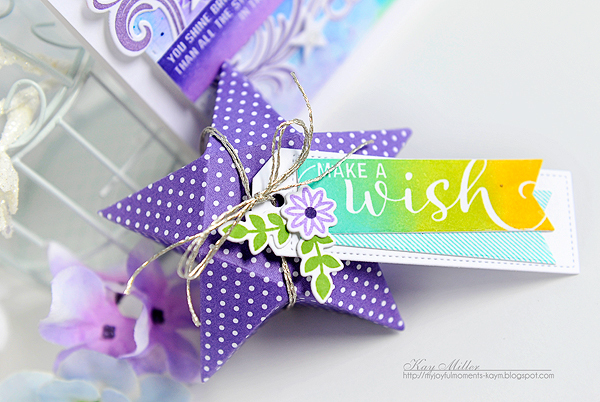 I stamped the sentiment with the MISTI using Amethyst Allure and Royal Velvet. I added a few die cut stars and sequins as well. 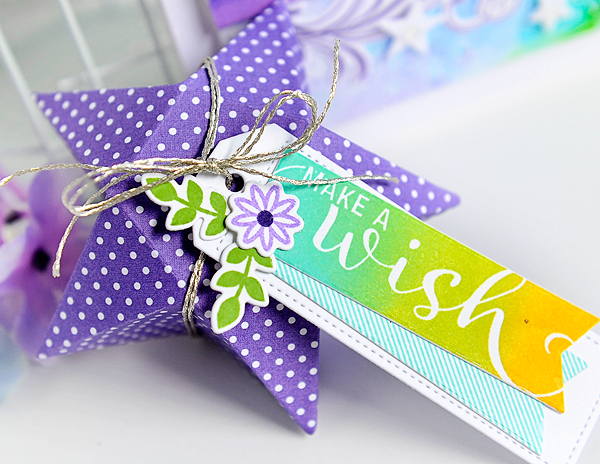 Another super fun product from Lizzie is the Star Box Die! This was one of those things I looked at and thought... what? But when I cut it out and scored all of the lines, it just went right into the little star box shape all by itself! Easy peasy and oh so cute! I created a little tag for my box with the Just a Number set. I layered two tags on top of one of the tags from Keep It Simple Frames. I tied this onto my box with some silver thread, and then added a little flower and some leaves from Paper Clippings: Done With Love. And last, but definitely not least, is a cute little Christmas card I made with Maile's newest Splits:Best Wishes. The minute I saw it, I knew I was going to make a Christmas card with it. The little leaves and berries spoke Christmas to me. It works doesn't it! I added a piece of paper from the Ombre Stripes paper pack for my background, layered the chevron strip from Happy Notes, a snowflake from Snowflake Flurries, and topped it off with a flower from Cup of Cheer! So festive and fun! 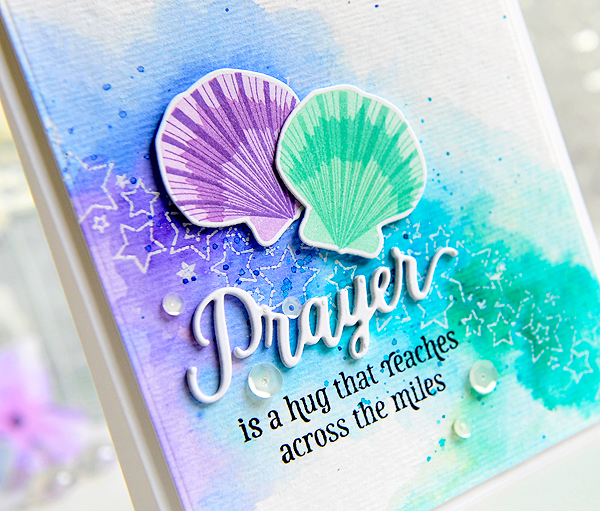 I hope you have enjoyed seeing all of the projects created with the July release from Papertrey Ink! It's another spectacular one! Thank you all so much for the nice comments you have left for me along the way! I appreciate them so much! We have so much in store for you this month! I can't wait to share it all! So stay tuned!! All of these amazing new products will be available tonight at Papertrey Ink at 10:00 EST! I can't express how much I like your art!! Today is amazing! I love it all! I would like the talent you have in your pinky finger...lol!! My fav is your fav, paper clippings, gorgeous!!! 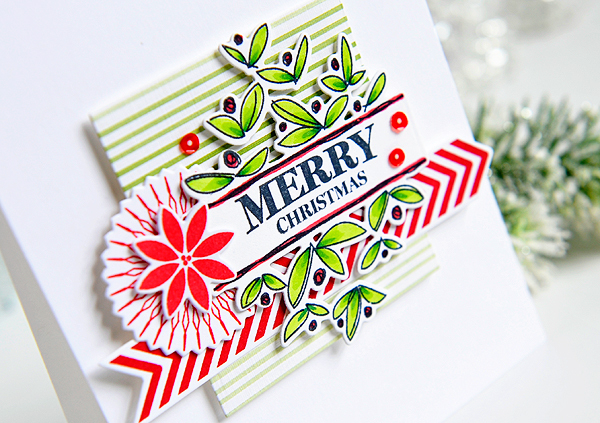 And your other cards are wonderful as well, loving the Christmas in July looks. You make THE most BEAUTIFUL cards! Seriously beautiful!!! I could CAS you every day! 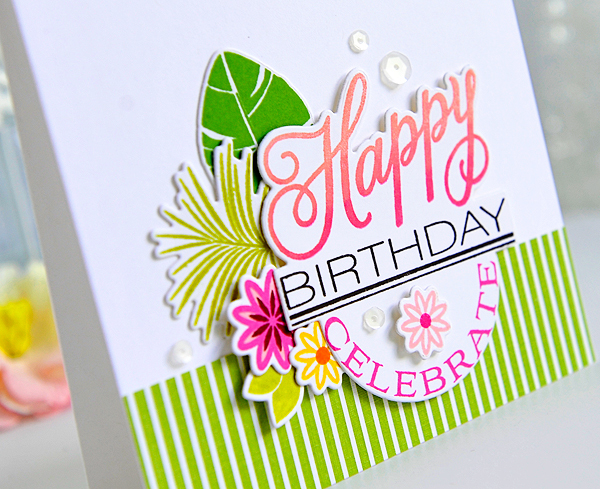 Your cards are so gorgeous, bright, colorful and just stunning! LOVE to stop by for an inspirational visit! Happy weekend! Your cards are always amazing. Ditto to what everyone else has commented already! These cards today just hit the 'sweet spot'! Absolutely fabulous! These are ALL amazing, Kay, YOU are amazing!!! Have a fun and crafty weekend!!! Thank you for showing us, so well, the newest collection from PTI. 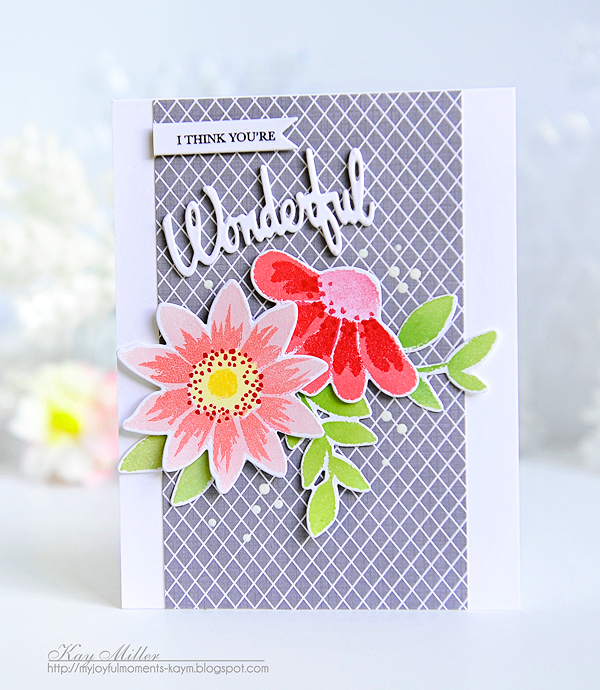 Kay your cards and projects always inspire me sooooo much!!! OK Missy, let's have a serious talk just between you and me (and the rest of your groupies). Now you are making me feel....how shall I put it? Not deserving of the praise that I SHAMELESSLY seek? Seriously, girl I just went down a notch and it takes a lot to admit it for I am a proud woman! 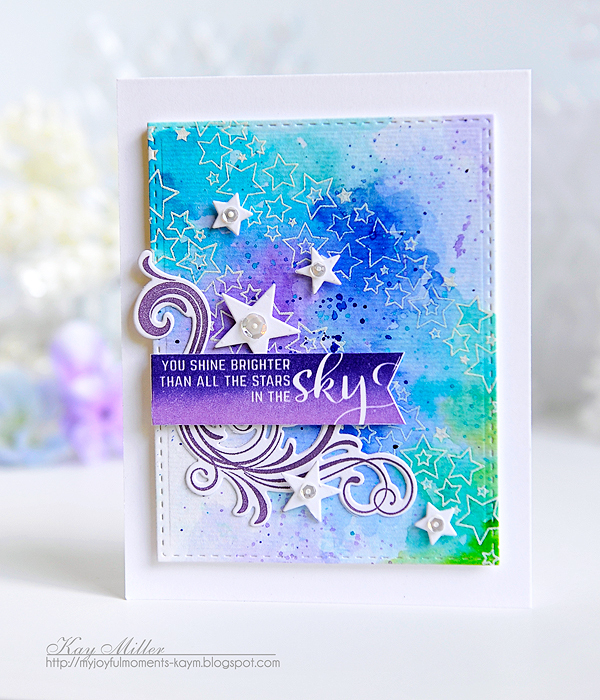 Where do you get the ideas to match up so BRILLIANTLY stamps and dies from different sets? Your fav is also mine but more so the galaxy watercolor one! You know my frustration with them. Thanks that I had an AHA! moment and bought an oxygen tank, because every time I see one of your creations, and with the same token Melissa's or Betsy's I was gasping for air! Now for your sneak peek of Betsy's die....... the tank could not help me AT ALL!!! At least I got something......YOU PRAISED YOURSELF!!!! Good for you, we should recognize GREATNESS when we see it, specially within ourselves! The term modesty at least within the craft community is soooo overrated! Just saying! Well, You've done it yet again Kay. You've blown me away with your spectacular cards! You've rocked another PTI release. Love ALL of them!! WOW! Awesome creations Kay! I'm inspired to get out the Peerless again! :D THANK YOU! A feast for the eyes!!! beautiful!! !